The 11th of November is Armistice Day, the day that originally marked the end of World War 1. These days Remembrance Day or Poppy Day as it is sometimes called also focuses on the many later wars of the 20thC and now 21st Century too. Whilst all these wars have been bad whether fought for good reasons or bad, for those taking part none quite match the suffering in trenches. Now the war and its soldiers have faded and so have many of the memorials before they are refurbished for the 100th anniversary next year. What remains strong though is the poetry that came from the war. Many of the ordinary soldiers kept journals or wrote letters to their families back home. Some their works became internationally famous. My favourite is The Soldier by Rupert Brooke, I remember learning it at school. It is sad, nostalgic and beautiful. Rupert Brooke, soldier and poet. Rupert was an interesting fellow. He had affairs with women and men, fathered a child and suffered from a terrible mental breakdown. Despite this he was headed for great things when sadly he died on 23rd April 1915. Wilfred Owen was an English school teacher working in Continental Europe. He visited a hospital for the injured which immediately compelled him to return to Britain and enlist in the Army. He was injured in March 1917 and spent the next 18 months recuperating back home before being declared fit for duty and returning to the war in August 1918. Just a week before the end of the war, Wilfred Owen was sadly killed by German machine gunners. Such was the speed of communication that his parents were sitting in their home in Shrewsbury at 11am on 11th November 1918 happy that the war was over and their son had survived when there was a knock on the door. It was a telegram informing them their son was dead. The poetry of Siegfried Sassoon is quite different of that of Rupert Brooke for example. Whilst Brook’s work is glowing and nostalgic and much appreciated by those of us who never had to fight in the war, his no-nonsense graphic style of writing has always been preferred by those who have such events for themselves. Seigfried attended Cambridge University and lived the life of a Gentleman before becoming a Cavalry soldier with the Sussex Yeomanry and then later an officer with the Royal Welch Fusiliers. He was renowned for his bravery and nicknamed ‘Mad Jack’. He quickly became disillusioned with the war and how it was being run and got himself in great trouble after writing a public letter to The Times newspaper stating as such. Happily he survived the war and lived out his life until his death in 1967. Unlike other WW1 poets, Edward was married with children and at the older age of 37 when he decided he had to fight for King and Country. He had a deep love for the natural countryside and many of his poems reflect this. Sadly he died in Easter 1917. Perhaps the most famous individual First World War Poem is In Flanders Field written by John McCrae in 1915. John was a doctor serving with the Canadian forces in the little town of Ypres in Belgium when on 2nd May 1915 his friend Alexis Helmer was struck by an artillery shell. As his friend and doctor, John McCrae was overcome with emotion after his burial that he wrote the following poem. The inspiration for the use of the poppy as a symbol of remembrance. This Canadian poem was used to encourage enlistment in the USA in the last year of WW1. Underneath the farmers fields lie the remains of hundreds of thousands of soldiers. 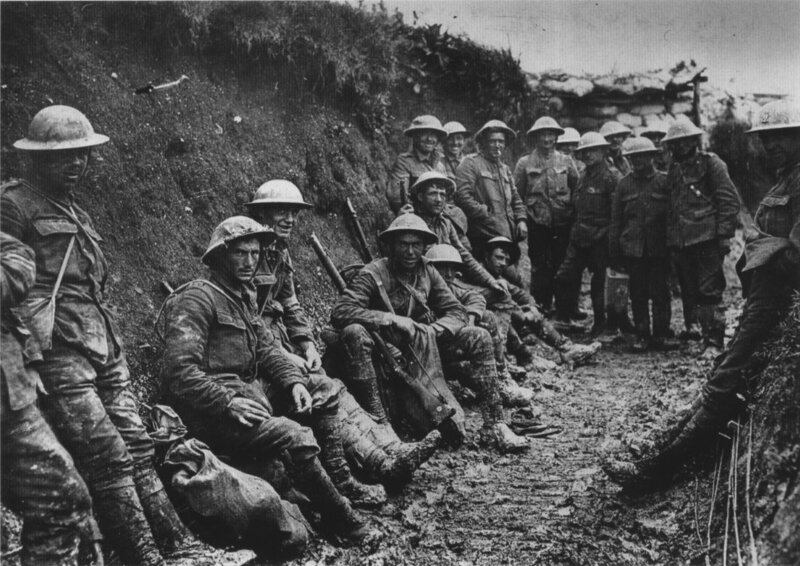 The trenches are in a terrible condition — anything up to 4ft deep in mud and water. We’re plastered in mud up to our faces. Our food – cold bacon, bread and jam – is slung together in a sack that hangs from the dripping dugout roof. Consequently, we eat and drink mud. Heavy bombardment at about 11am. Heard a fearful crash. The next dugout to ours blown to blazes, and our physical drill instructor Sergeant Horton with it. I helped dig him out. But before we could get him anywhere, he’d departed this life – our first experience of death. I’m tired out, sick of everything. Back on the firing line, and nearly up to our waists in mud. We’ve found a new diversion — at dusk, we put a small piece of cheese on the end of a bayonet, wait for a rat to have a nibble, and then pull the trigger. Snowed all night. Had a hard job to keep awake. One or two fellows – of whom I was one – were found to be fast asleep at the end of their sentry. We’d gone to sleep standing up – and the relief man was also asleep. Under military law, this is a crime punishable by execution. So, as a preventative, we’ve arranged between ourselves that each sentry along the trench will fire his rifle at intervals. At dusk, I put my head over the top to have a look around and stopped a bullet on the side of my steel hat. The vibration made my head ache. The Germans forestalled us this morning by about three hours. After three months of hard work, our K14 mine, timed to go up at 8am, was blown in by the Germans at 4.30am. There was a terrific explosion. 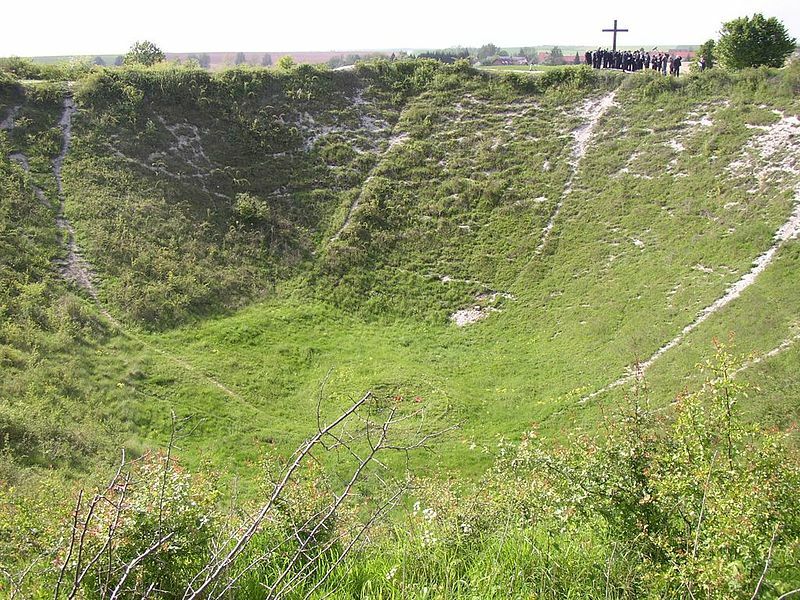 The ground for yards around was lifted skywards, leaving a huge crater in the ground. Captain Edwards, our company captain, crept out over my parapet to investigate the damage and was met by a fusillade of bullets. He stopped one through the shoulder and one in the head. The moment after he was hit, an engineer sprang on to the parapet and, crawling on his stomach, dragged him back. It’s worth noting that the German sentry who shot Edwards could also have shot his rescuer. If he refrained from humane motives, he was a sportsman. I hope you enjoyed reading this niche but very interesting area of poetry. Having been to the WW1 battlefields several times before, the poetry both brings back lots of memories but also reminds me I have to go there again soon for the 100th anniversary commemorations. At the 11th hour of the 11th day, we will remember them. Please also consider looking at my new book of poetry dealing with loss, sadness, depression, separation and suicide. This entry was posted in history, writing, WW1 and tagged Armistice, Culture, history, In Flanders Field, Literature, Poetry, Poppy, Rupert Brooke, war, WW1. Bookmark the permalink. Thank you for this rich and illuminating post. I’m glad you liked it. It was nice to post something a little different. An incredible post, Stephen. Thank you for sharing!! Thanks Skye. So glad you like it! Beautiful poetry. And, um, Rupert Brooke was easy on the eyes. 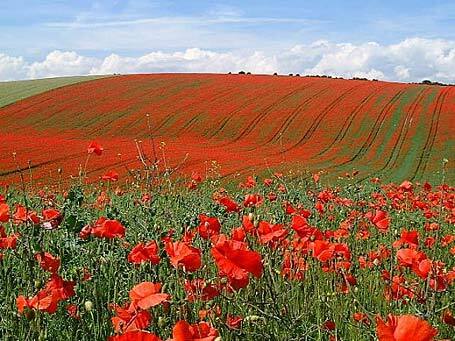 I had no idea about the farmer’s fields of poppies and the remains still there. I have to say my favorite piece was by Siegfried Sassoon. I like that he did not sugar coat anything! Yes, so many of the soldiers of that era knew how to dress well. In many ways Siegfried Sassoon wrote poems that are very modern and could have been written about the current wars. The fields there are full of remains. The farmers won’t dig deep as they don’t want to disturb anything and I have seen country cottages with their garden walls 6 foot high but not of stone or fences but artillery shells and the army still goes round once a week collecting explosives found in fields. I went their one time and within a few minutes found shot and casings lying around and part of a big shell and hand grenade. I went off exploring with a Canadian D-Day veteran and we found some actual WW1 barbed wire. The farmers had just discarded it a few weeks earlier (I guess after 100 years they need to get on with their lives as best they can) so I brought some home. I wouldn’t do it normally but it was just going to be trashed. On our way back we accidentally went through an old mine-field and only found this out when we were 90% through it. The last 50 feet were rather nervy especially as the official said that 3 or 4 times a year sheep stand on the odd mine and gets blown up! Thank you for this – we can never stop remembering…. I have been asked to read something in Church on the 4th August, the 100th anniversary of Britains entry into the first world war. Plenty of inspiration here. Thank you. I’m glad to be of service! Do check out my new WW1 history book which was published just a few days ago. Thanks for your comment. Thanks for liking my blog, Stephen. I really enjoyed yours! Excellent work. Mine is only in its infancy. I live vicariously for poppy day. I always miss it. I’m from the US but spend a lot of time in England and the UK generally as a medieval historian. Check out W. J. Turner, _Care and Custody_ some time. I love Rupert Brookes poems. He died of pneumonia. I love his poems too. The accounts of how he died are so sad. Mr. Liddell, yes, the literature—both prose and poetry—that has come from the simplest (whatever that means) of “dogfaces” is amazing. Those who manned the muddy foxholes, tromped through the jungles and the sand, and never knew whether their next breath might be their last; but their viewpoints on the horrible events are quite emotional—and truthful. I was particularly happy to see Rupert Brooke cited at the beginning. I can remember reading that poem in college. That was a time, in America, before many people began to turn on the War in Vietnam. But, whether, or not, we agree with any war, never, ever fail to respect the individuals who serve. But, let’s not glorify warfare! Lastly, let’s stop building bricks-and-mortar monuments to warfare—one after another. Rather, let’s build one large “Monument to Peace”! Then, with any other money that is set aside, let’s establish programs to promote Peace, through: international scholarships; symposiums; reconstruction of devastated villages; medical assistance to war-torn areas; and various programs. I’m very glad that you enjoyed this piece. I agree with you about remembering those who fought in each war, even if in some cases we disagree with it from a modern perfection or indeed a current war. I’d always try to extend that outlook to ‘enemy’ soldiers too if they were just ordinary people doing their jobs as most Germans were in WW1. I’m glad Rupert Brooke is known about in America. Incidentally there is a WW1 memorial at Vimy Ridge which is a beautiful monument to the Canadian dead. It is said it was Hitlers favourite memorial as he liked how it didn’t glorify war but dealt with humanity, death and loss. He even stationed SS troops around it to protect it from accidental German damage or attacks from the French Resistance or British social forces raids. For your information – the website ww1poet.co.uk is now back online. the website displays the numerous ww1 poems of my grandfather Private Joseph G Hughes. His poems are not well known as they have only fairly recently been discovered by his family. The original drafts are now lodged with the Imperial War Museum London. I hope this information is of use to you.